1n 1932, Tod Browning directed one of the most peculiar and daring horror films ever made by a mainstream Hollywood studio. Freaks was designed to explore and humanise the misunderstood world and needs of those dubbed ‘freakish’ due to physical abnormalities. The setting was that of a travelling circus whose environment and separate closed community echoed his previous work. As we’ve already discussed, Browning was an ‘outide talker’ the politically name for what was formally known as the ‘carnival barker’ in his early life and had matured into a film-maker with a life-long affinity toward those classed as outsiders or misfits. The horror genre was a way for him to confront audience’s fears of the unusual members of society, gain sympathy for them and play in sensationalist imagery on what they found disturbing – arguably exploiting both sides of the debate. Browning had dwelt on transgressive themes in a circus backdrop before. The Unholy Three (1925) was the first time Browning had achieved this dual-sided approach in that setting. The closed-off world of the circus traveller has always appealed to our romantic imagination but has equally inspired mistrust among many, in common with the Romany gypsies. Using Tod Robbins’ novel and a screenplay by Waldemar Young, Browning developed the fear of criminality in unknown ‘other people’ into a thriller. What would happen if the skills of circus folk could be corrupted to ingenious criminal enterprises? His long-term collaborator star Lon Chaney was a ventriloquist and female impersonator, partnered with Victor McLaglen’s strong-man and Harry Earles (later the lead actor in Freaks) as a little person who could convincingly masquerade as a baby for deceptive purposes as they perpetrated domestic robberies. The film was highly successful and through Chaney in particular managed to earn sympathy without villifying the world of the circus community as a whole. The more obvious forerunner to Freaks was Browning and Chaney’s The Unknown, which we covered earlier, in which Browning combined his morbid fascination with deformity and evil whilst keeping the story very much under the big top. Here, Chaney’s masquerade as Alonzo the Armless allows him to hide out from the repercussions of his old life of crime. Once he sees that his ultimate sacrifice to become surgically bereft of arms for Joan Crawford is too late, his plot to murder her strong-man lover fails to his cost. Freaks was to be a more compassionate take on carnival folk and yet in its controversial presentation of the disabled and climactic horror denouement, Browning’s dark obsessions would cost him just as much professionally – and perhaps not without reason – hence part of the film’s unforgettable legacy. In David Skal’s riveting book The Monster Show, he offers another personal connection that possibly gave Browning an affinity with physical deformity, namely a tragic car accident in 1915 which the director (then a young actor struggling with alcohol addiction) hit and killed a promising actor, Elmer Booth. It left the luckily surviving Browning with injuries including severe damage to his right leg and lacerations to the face and arms. His recovery may have influenced a somewhat ghoulish obsession with disability, the shark-like mouth of Chaney in Browning’s London After Midnight is a prominent image that well have been a lingering echo. (The casting of Olga Baclanova in Freaks was inspired by Browning seeing her in the film The Man Who Laughs, discussed previously, in which Conrad Veidt is a performer reduced by a childhood torture disfigurement to performing as a carnival freak with a macabre fixed grin. That movie however was widely regarded as much more sympathetic than Browning’s 1932 production. As a young child, long before I actually saw Freaks, the still photos and status of it as a banned film exerted a strange and admittedly prurient fascination on me. My youthful self had no experience of people afflicted with disabilities; seeing the shot of the unusual performers gathered around the bearded lady new mother, I shamelessly gawped at them as spellbound as they were by the new addition to their extended family. Perhaps this inappropriate reaction, not dissimilar to ‘car-crash rubber-necking’ is what many censors tried to protect the public from, but despite an unavoidable interest in how day-to-day life is managed for those without certain limbs, that ‘spectator at the zoo’ feeling is blended in the viewer with an involvement in universal (as well as specific) relationship problems by Browning at the same time as a degree of unwholesome spectatorship. Browning was given free reign to develop Freaks by production head Irving Thalberg at M-G-M following his monumental success with Universal’s Dracula. Seeing that horror was big business in light of their rival’s equal box-office hit Frankenstein, Thalberg rolled the dice on Browning’s pitch of providing the ultimate horror film. He was shocked on seeing the script but understood it was what he had asked for. The source material was a short story Spurs by Todd Robbins, writer of The Unholy Three and was given to Browning by the diminutive Harry Earles, co-star of course from that same film. Although it was an unpalatable story, Earles recognised it was a great opportunity to showcase him as parts for little people were so rare. Spurs shares the central plot-line with Freaks of a circus midget who falls in love with a ruthless full-sized performer and exacts a revenge ending, but the original story’s characters were all nasty and self-centred. The midget’s self-enacted retribution for example is to ride his fraudulent, now shamed ex around France, punishing her with the accessories of the title. At least in Freaks, some sympathy is retained for the protagonist as we don’t see him carry out the cruelty. Freaks is set wholly within the backstage world of a travelling circus troupe, intriguingly never showing us their on-stage show, choosing instead to focus on the drama within their off-stage lives. Theirs is a society made up of two groups of performers who co-exist within the show-business ‘family’. There are the able-bodied artists led by Cleopatra the scheming vamp trapeze artist, Russian ex Moscow Art Theatre actress Olga Baclanova. Her partner-in-crime, Hercules the strong-man is played by Henry Victor, after Victor McLaglen turned down the chance to reprise his role in The Unholy Three and reunite with Lon Chaney, who was initially considered gfor the film before he died in 1930. There is Roscoe Ates, who channels a real-life stutter in his role, Delmo Fritz as the Sword Swallower, and the developing kind-hearted lovers Phroso the clown and Venus the seal trainer (Wallace Ford and Leila Hyams). Thalberg had wanted Myrna Loy for Cleopatra – until she read the script in horror and begged him to release her from the part. Jean Harlow was also tipped for Venus, maybe passing for the same reason. The ‘freaks’, for want of delicacy, are represented most importantly by Harry Earles’ diminutive Hans, whose presence carries such authority and immaculacy of dress I always regard him as the circus owner – we don’t see any evidence that he isn’t. He is involved with Freda, a fellow little person who in reality was Harry’s sister Daisy in the travelling Dancing Dolls family circus act, a quartet of little people performers from Germany who toured America. Their real names were Kurt and Hilda Schneider. Intermittently the twosome revert to German dialogue in the film. The rest of the differently-abled cast feature an assortment of people with real-life afflictions, part of a wave of CVs sent in via Browning’s circus connections from all over the world. Presentation of them would fuel a raging fire of later censorship problems. 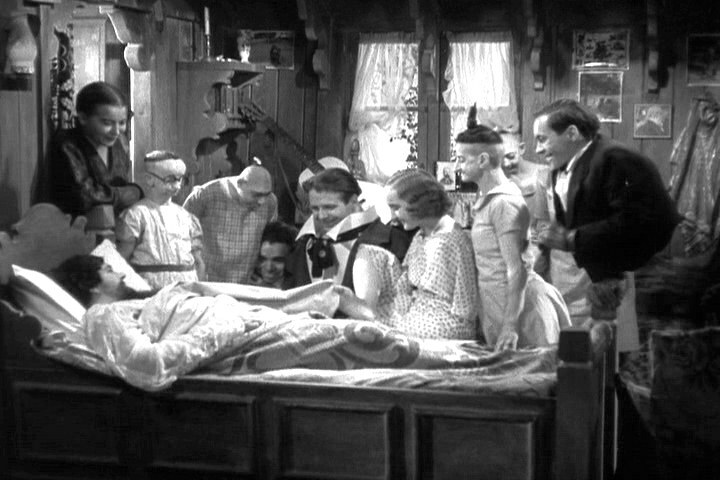 They are given insensitive but promotionally succinct titles in the show such as Prince Randian the Living Torso (born without limbs but able to roll and light his own cigarettes), Johnny Eck as Half-Boy, who despite looking as though he had no lower half, did have hidden underdeveloped legs – as well as impressive enough upper-body strength to support himself even to a one-armed handstand. He was photogenic enough to have gained work such as TV presenting parts in our generation since from the waist up he appears utterly normal. There is also Frances O’Connor the extremely dextrous Armless Wonder - and the famous real-life conjoined twins Violet and Daisy Hilton. This Siamese pairing gained a professional life beyond the carnival scene in vaudeville, playing piano and saxophone, and also attention in the media when they managed to divorce themselves from their legal guardian who had bought them from their birth mother and put them to exploitative work from earliest childhood. Notable others include the three ‘Pinheads’, microcephalic performers born with small craniums, females Elvira and Jenny Lee Snow, and male Schlitzie (born Simon Metz), a popular and personable child-like charmer - as well as Olga Roderick, the bearded lady who was one of several who recalled less than fond memories of the film’s exploitative nature during filming. The producers knew Freaks would be a hard sell of queasy possibilities to an audience unused to real-life, vividly disabled people in a horror film, so they prefaced the film with a scrolling written prologue intended to prepare the viewer to reframe what they were about to see. 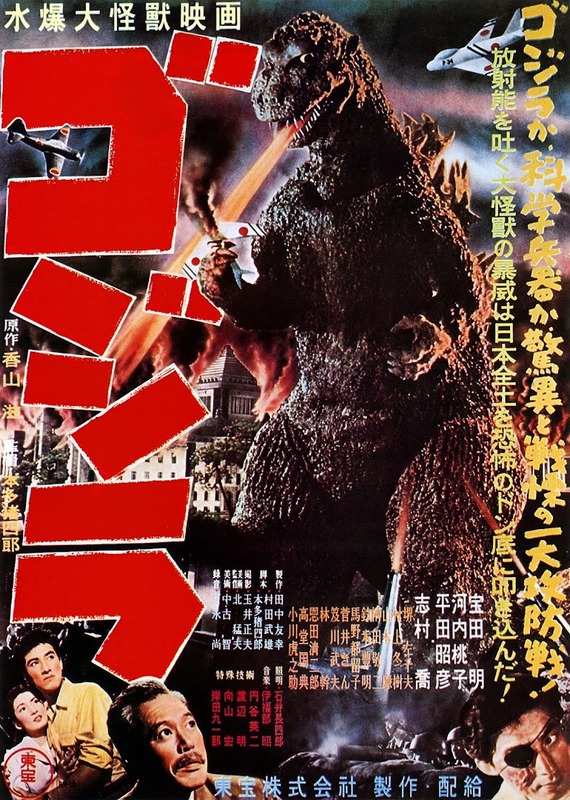 It means well, yet suffers from highly debatable sensitivity, referring from the top to the film as a ‘highly unusual attraction’ – possibly meant as a deliberate introduction of the circus theme, but it also suggests an exploitative angle that perhaps was the opposite of fostering understanding. It goes on to fall on its own sword further by inflammatorily listing ‘misshapen misfits’ from history and literature: ‘Goliath, Caliban, Frankenstein, Gloucester, Tom Thumb and Kaiser Wilhelm’, making it hard to fathom how this ill-recruited rogues gallery of perceived disability, fairy-tale Tom aside, is supposed to encourage inclusiveness. Are we to build positive associations based on a bliblical destructive giant, Shakespeare’s bestial island monster, Mary Shelley’s scientist or creature (some confusion here), Richard III in the old, misrepresented ‘evil crookback’ sense and a war-mongering anti-semite? It doesn’t help that there are more bouquets of grenades offered to ‘the abnormal, the malformed and the mutilated’, insensitive treatment of whom is ‘…the result of long conditioning by our forefathers’. It’s also assisted by the 1932 present-day on the strength of this presentation. Finally, after a glimmer of welcome framing of the film as being concerned with the code of ethics amongst its circus folk, the writer again drops the piano on their foot by assuring us that modern science has rendered this film a curio since ‘such blunders of nature’ are becoming a rarity. It’s worth mentioning one reasonable claim, not made here, in favour of the circus life of the differently-abled, which is that it provided a sense of shared community for performers who shared very unusual experiences and challenges. Without the ready-made family set-up of the sideshow life, many would have led isolated lives before our modern social media age of comforting connectivity. Above various sub-plots, the main thread is the sickeningly exploitative plan by Cleopatra to manipulate Hans into becoming her husband for the fortune she hears he will inherit, told to her by the wounded and rejected Freda. Meanwhile she carries on a secret tryst with Hercules and mocks Hans – firstly behind his back and then most unforgivably in front of everyone at their wedding feast by canoodling brazenly with Hercules. During the meal, the disabled performers do their best to make the undeserving Cleopatra feel a kinship with them now. They recite the haunting refrain “Gooba gobble. One of us” repeatedly, while poor Hans sinks into a drunken misery of gradual realisation that he has been deceived by the only real monster in the film. The turning point is when Hans discovers that Cleopatra had poisoned him with Ptomaine and is covertly dosing him further along with his medicine. This leads to one of the most disturbing and thrilling climaxes in horror film history as the family of the disabled close ranks to take revenge upon her. During the rain-soaked night, armed with knives and other weapons, they crawl through the mud, friendly faces now locked in impassive yet vengeful purpose toward her caravan. We then cut to the result of what now remains of Cleopatra in the box: the frighteningly macabre final image of her as the Human Duck, her lower torso cut off, her body and face mutilated to resemble the bird, tarred and feathered for life, and squawking pathetically. To the performers she once mocked so savagely for their difference from her, she is now truly ‘one of us’. This brilliantly downbeat ending initially made M-G-M very nervous as did much of the film after catastrophic feedback from test screenings. The original print of Freaks was 90 minutes long and in trying to reduce distress to audiences, the studio cut it to its present length of 64 minutes to satisfy the New York censors. This was despite the fact that it was in the brief more permissive era known as ‘pre-Code’ (between the full introduction of sound in 1929 and the enforcement of the aforementioned Hollywood Production Code in 1934). State censors dictated their own policies across America. M-G-M removed much of the footage of the revenge attack upon Cleopatra, a castration of Hercules, some comedy and added the filmed prologue device of the outside shouter. Arguably this may have helped the impact of the ending as we can only imagine the awful torture wreaked upon Cleopatra that led to the hideous result. The studio also tried alternate endings to soften the impact (available on the Region 1 Warner Home Video DVD) - for example an epilogue where the now-rich Hans is reunited heart-warmingly with Freda by Phroso and Venus some years later in his inherited mansion. She comforts him that he was not to blame for the revenge, that he only wanted to take the poison, and declares her love for him after all. This feels like a soft, contrived fade-out after the bold original. There was a further crisis of confidence tinkering whereby this scene was kept in while all the weak expository dialogue was edited out, enabling a slightly stronger close, but ultimately nothing matches the uncompromising, terrible power of finishing on that final retribution. Freaks ended its short initial run as a commercial failure, simply being too controversial material at that time in any form to be welcomed by the mainstream. The film was shelved for over thirty years. It did however gain a surprising second life courtesy of the radical hippie ethos circulating in the 1960s. The counter-culture movement on student campuses embraced what they considered to be sympathetic treatment of societal outsiders in a period when suddenly the word ‘freak’ and the adjective ‘freaky’ would be co-opted by youths who rejected authoritarian values and sincerely related to those who either were or chose to live differently to the norm . 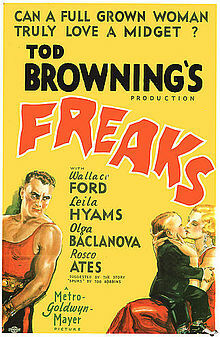 Freaks became hugely popular at midnight college screenings.